Harassment by creditors and collections agencies makes debt struggles more difficult. If you are tired of facing the threat of wage garnishment and repossession, filing for personal bankruptcy may be the best option to get the fresh start you need. Explore your options by discussing your case with an experienced bankruptcy attorney. Chapter 7 bankruptcy allows you to eliminate debt while keeping assets depending on their value and the total value of your exemptions, which I'll go over with you. During your free initial consultation, I will discuss the debts that are dischargeable — including credit card debt and medical bills — and the assets to exempt from liquidation. From filing to discharge, the process lasts approximately 90 to 120 days. Harassment from the IRS and threats of foreclosure or repossession make filing for Chapter 13 bankruptcy possibly the best choice you have. Chapter 13 is made up primarily of a payment plan that lasts between three and five years and is overseen by a trustee. After the final payment is made, remaining dischargeable debts are wiped away. At the Law Office of Andrew Kern, I am here to identify your specific needs and explore the debt relief options available to you. If you are considering Chapter 7 or Chapter 13 bankruptcy, I am here to help, not here to judge. 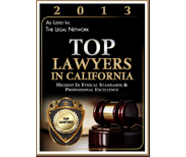 For a free consultation, contact me online or call 707-658-4602. 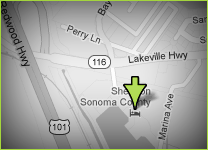 My law firm is conveniently located near Highway 101 in Petaluma.